Rather than looking inward, I decided that for this Comics Academe, I’d like to talk to someone else in the field of comics. I keep saying that it’s important for scholars in “new” fields like comics to learn from each other and not lose collective knowledge, so I thought I would do as I say! Rather than looking inward, I decided that for this Comics Academe, I’d like to talk to someone else in the field of comics. I keep saying that it’s important for scholars in “new” fields like comics to learn from each other and not lose collective knowledge, so I thought I would do as I say! For this conversation, I chose Christine Hoff Kraemer, PhD, Instructor in Theology and Religious History at Cherry Hill Seminary. 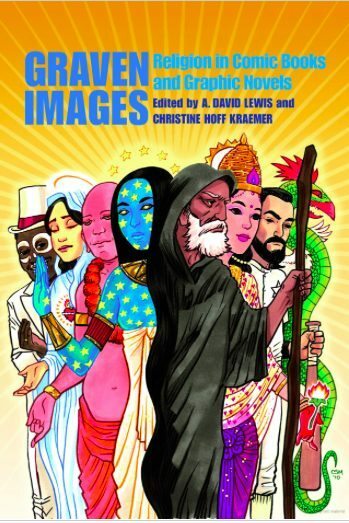 I sought her out because she edited Graven Images: Religion in Comic Books and Graphic Novels with my friend A. David Lewis. This book’s emphasis on medium gave me that feeling when I was starting to work through exactly how I wanted to do my dissertation that work on scholarly work on comics and religion was not only possible, but absolutely necessary to understanding how religion works. Christine did not disappoint. She gave me some practical ideas and some theoretical thoughts, too. In particular, I was intrigued by the way she fits her passions for religious studies and comics together. It’s not the way I do it, but it works beautifully. That’s what I love about our disciplines–there’s truly no one way to make something useful and good. Here we go! First things first, I have never been involved in editing an academic book. Can you tell me what the process was for you? What was the “write about comics” bit like from an editorial standpoint? Well, just as with a general audience book, the first step is to pitch your book idea to a publisher. A. David Lewis and I made the process easy on ourselves by organizing the 2008 Graven Images conference, where a couple of dozen scholars and comics creators presented papers. We were able to take the best of those papers and submit them as sample chapters for the collection, along with an overview of the proposed book and a description of which groups of people we thought it would appeal to. After a bit of back and forth to convince the publisher, we signed a contract. The majority of our conference presenters revised and expanded their articles for the book, and we also solicited some additional papers to try to cover topics the conference hadn’t broached. After the chapters were in, we gave detailed feedback and sent them back to the authors for a final revision. Probably the biggest challenge for most writers is to get past writing purely descriptively. It’s easy to just tell the reader about comics without actually making an argument about why the comics are significant or why the reader should care. Provocative arguments are what make an academic book exciting and valuable. We put the manuscript in order and used a style guide to correctly format the citations. That’s probably the most tedious, grueling part of the process. Next was a series of edits, each of which we had to check and correct: a copy-edit and two proofreads. Finally I created the index from the proofread galleys. All of these steps were done electronically, which does make things easier; no waiting for manuscripts to travel back and forth in the mail. We were really lucky to get Douglas Rushkoff to write us a forward and Carla Speed McNeil to create an amazing cover–because as we all know, people really do judge books by their covers! Academic books, much like publishing in general these days, are a labor of love. Academic books, much like publishing in general these days, are a labor of love. We were paid an advance and royalties for the book, but I estimate for the hours of work I put in, I probably earned less than $2/hr. 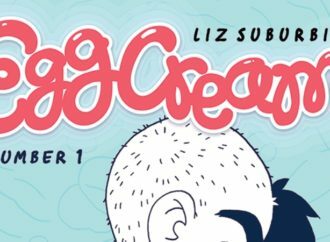 It’s a lot of fun to create a book that will help scholars and fans understand comics more deeply, but it’s not a living! Is there a woman in comics or comics scholarship you find inspiring or whose work you find inspiring? One of the reasons I was so excited to have Carla Speed McNeil doing our cover is that I’m a big fan of her science-fiction saga Finder. It’s hard to describe how real the world of Finder feels–it’s dense and detailed, enormously weighted with history. I particularly like the contrast between the world’s various hunter-gatherer societies, which exist in vast expanses of nearly empty land, and the crowded, highly technological domed cities. Many of the narratives touch on issues of race and gender in a way that’s provocative but not moralizing. 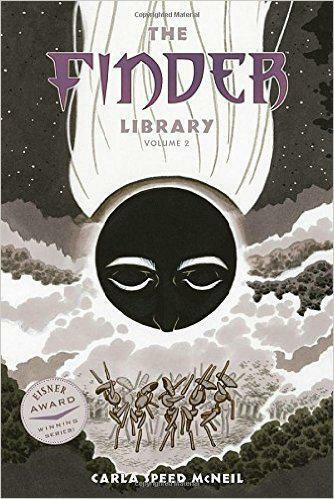 I also deeply respect McNeil for self-publishing her work for so many years before she signed on with Dark Horse. Self-publishing is a hard road, but she was able to establish her reputation and her voice without having to deal with the pressures of a publishing house and its ideas about what’s marketable–because mainstream publishing houses know that their main audiences are young college-bound or college-educated white men, and they focus heavily on that demographic, even pander to it sometimes. 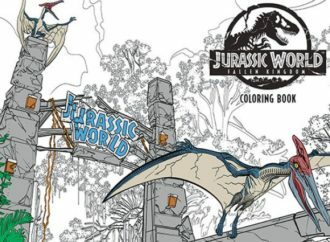 I’d like to think Dark Horse appreciates McNeil’s uniqueness and will support her vision going forward. What advice might you give women in college or grad school who want to incorporate comics into their study? Of course, there are lots of factors that would apply regardless of gender (and I want to hear those). I’m also wondering if there is anything you’ve learned about navigating the waters of an often male-dominated corner of study. How do you negotiate assumptions? My perception is that comics are finally getting respect–both as an important element of popular culture, and as an art medium. The tricky piece about doing comics scholarship is that most young scholars who want to study comics were not trained to read comics critically the way they might have been trained to read a text or watch a film. 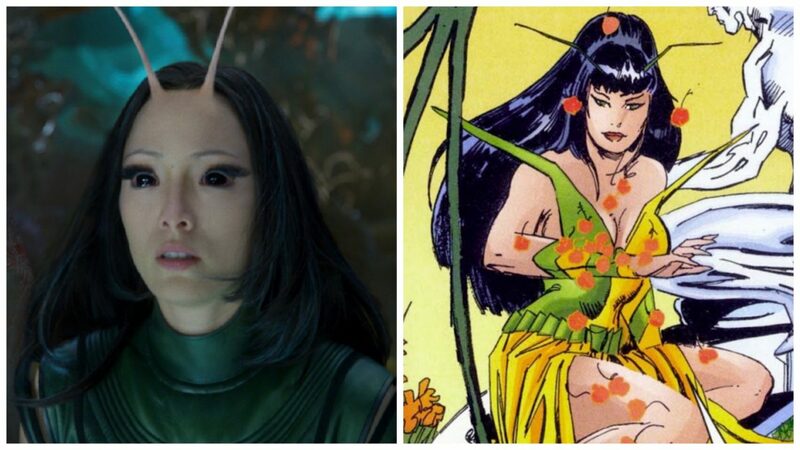 Comics have similarities to novels and films, but they are not either one. They have their own language, their own ways of communicating meaning, their own history and sets of allusions. Most of the time, because universities don’t offer courses in comics scholarship, scholars have to train themselves in comics criticism. I think that’s very much worth the time and effort. 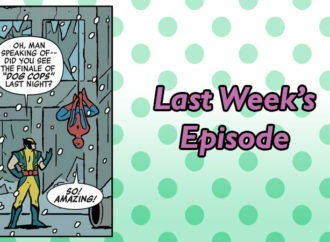 When you’ve learned the language of comics, your appreciation of them can go much deeper–and you can in turn bring those insights to your students and readers. The tricky piece about doing comics scholarship is that most young scholars who want to study comics were not trained to read comics critically the way they might have been trained to read a text or watch a film. Comics have similarities to novels and films, but they are not either one. They have their own language, their own ways of communicating meaning, their own history and sets of allusions. Most of the time, because universities don’t offer courses in comics scholarship, scholars have to train themselves in comics criticism. I have to admit that I spend most of my time on independent comics or on comics written by cranky iconoclasts like Alan Moore. Mainstream superhero, horror, and adventure comics tend not to be very smart about gender dynamics. Female characters who are powerful — that is to say, effectively violent — are often hailed as “feminist” in fan communities and the press. But there’s nothing necessarily feminist about a violent or frightening female character. Feminism is a social movement seeking gender equality, among other goals. A woman who manages to be successful in a male-dominated, authoritarian society where women are generally disadvantaged isn’t achieving gender equality, though. She’s an exception that proves the rule, a character with a female body who has seized what is typically a man’s role. In the past, genuinely feminist values in a mainstream comic haven’t tended to last long. I highly recommend the book The Secret History of Wonder Woman by Jill Lepore, in which Lepore uncovers Wonder Woman creator William Moulton Marston’s close ties with the suffragist and birth control movements. His Wonder Woman stories from the 1940s demonstrate distinctively different values, including a commitment to nonviolence. After his death, later writers took the character apart, until by the early 1960s Wonder Woman had been demoted to Secretary of the Justice League and would stay behind while the male superheroes left on missions. Wonder Woman has had a few interesting rewrites since then, some more sophisticated than others, but I don’t think she’s ever been as revolutionary a character as she was in those early days. 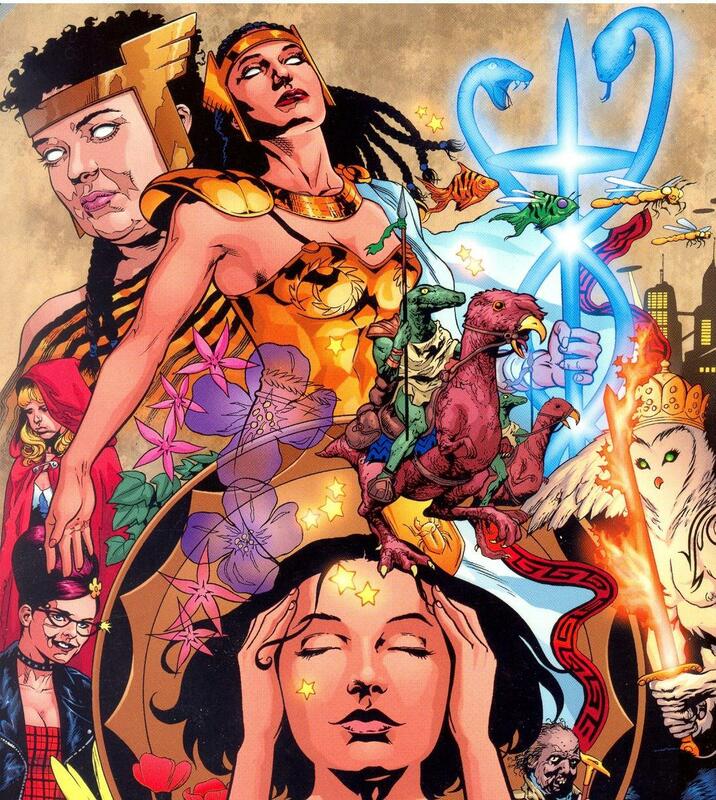 Image from Promethea by Alan Moore. Artwork by J. H. Williams III. 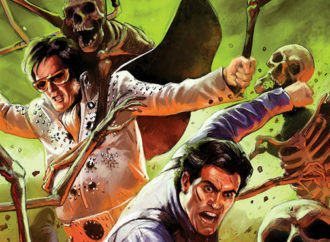 Y: The Last Man is a fun read, but I doubt we’ll still be talking about it in twenty years. I also feel that because of marketing concerns, mainstream comics often miss opportunities to explore gender dynamics seriously. Take Vertigo’s Y: The Last Man, for example. The premise is that all men on earth have suddenly died, except for one. I thought the comic got most interesting when it portrayed the female survivors’ various reactions to the absence of men: some mourning loved ones, some transitioning into masculine gender expression, some feeling relieved or even celebratory. Ultimately, though, the comic always defaulted back to violent action-adventure, with the female characters acting no differently than male characters would have in the same situation. The bulk of the comic implies that gender makes no difference in the behavior of humans as individuals or in society as a whole — and yet the idea that in a society with no men, female-bodied people would take on masculine gender expression in significant numbers implies that gender IS very important. Without really trying to answer the questions it raises, Y: The Last Man is a fun read, but I doubt we’ll still be talking about it in twenty years. 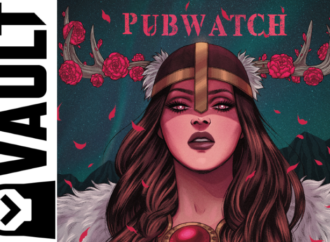 Within the indie comics world, there are larger numbers of creators who are able to acknowledge that gender expression and power interact in a complex way, and they build that awareness into their narratives. If you spend a lot of time reading mainstream comics, it can be a relief to pick one up that doesn’t assume that you, the reader, are a male between the ages of 15 and 25–especially since mainstream comics are usually just trying to please that audience, not challenge or provoke it. 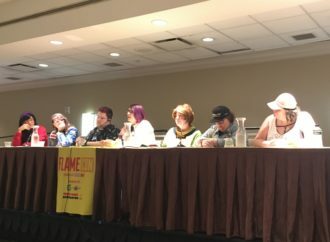 That doesn’t mean that women and minorities shouldn’t study mainstream comics–they most certainly should, especially since superhero films are making mainstream comics so visible to the public now–but it can be a tiring job to look at mainstream comics with a critical eye, especially when the comics’ fan base may not appreciate your work. What about religious studies fits with comics? Comics are especially interesting to study from a religious studies angle for multiple reasons. First, a number of different religious groups have used comics for education or even proselytism. Evangelical Chick tracts are famous, of course, but comics are also an important medium in Hindu cultures for re-representing important stories of gods and heroes. There are a number of examples of combinations of text and image that have been used historically for religious purposes–Scott McCloud just scratches the surface in Understanding Comics. In cultures that are strongly influenced by Protestantism, though, you sometimes get a kind of competition between word and image, where the Word–i.e. scripture–is privileged above image, which may be associated with Catholic veneration of the saints or other practices that Protestants rejected. Craig Thompson plays with this tension in a very smart way in Blankets, which is set in an evangelical community. (My essay on that subject appeared in The Media and Religious Authority, if you’d like to know more.) It can make for juicy scholarship to explore those cultural tensions and the way they are reflected in or challenged by the hybrid medium of comics. There’s also a great deal of religious content in comics, some of it used purely to drive a story, and some of it either critical of religions or presenting alternative religious thought. Purely from a content-based perspective, there are many, many comics that are relevant to religious studies–Promethea being my favorite! And finally, there are ways in which the conventions of comics parallel religious narratives in unique ways. 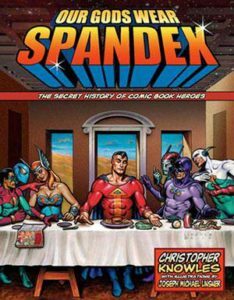 Chris Knowles wrote a book called Our Gods Wear Spandex that looks at some of the similarities between comics storytelling and mythological storytelling. I’m personally fascinated by the way particular superheroes have been handled by dozens of different artists and writers, often without any one writer’s take being definitive. It’s an echo of the practices of oral cultures, where stories of gods and heroes would have been memorized and then performed with modifications for particular audiences, with the narratives evolving over time. I would love to put these different aspects of your study in dialogue with my own thoughts about this comics/religion relationship. This conversation about religious attitudes toward text/image and Wonder Woman could go on from here, too, but I think I’m out of space! The emphasis on medium in Graven Images has been a major inspiration for me. Thank you for putting it together, Christine. And know that your love was not in vain! Not only did it help me understand comics more deeply, it helped to inspire me to have the courage to write the dissertation I really wanted to write. Whatever happens, I’m glad I did it! Thanks again for your work.